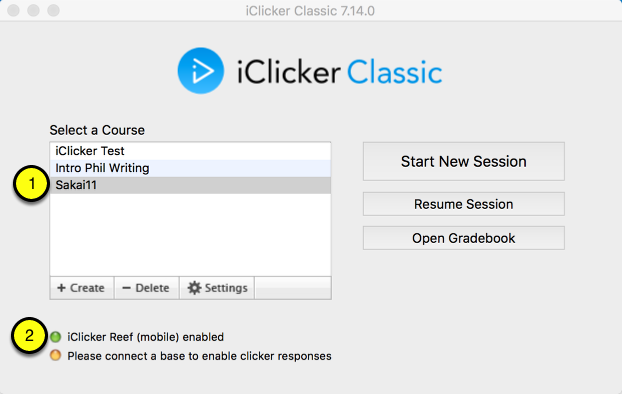 Instructor User Guide iClicker ClassicHow do I use iClicker Reef (formerly known as REEF Polling) with the iClicker Classic software? 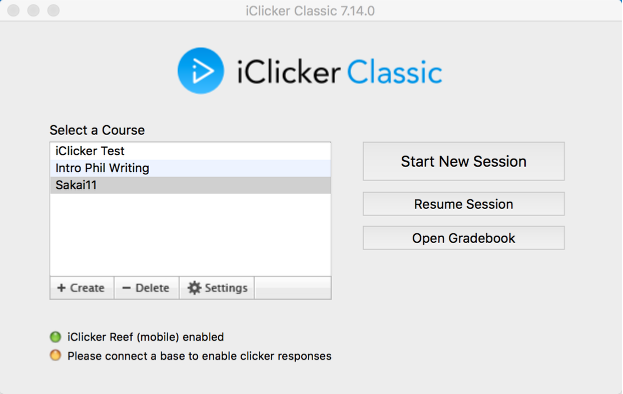 Even if you are using a base station to collect student responses you are also able to collect responses from participants who choose to use iClicker Cloud Polling. Launch the iClicker Classic application. 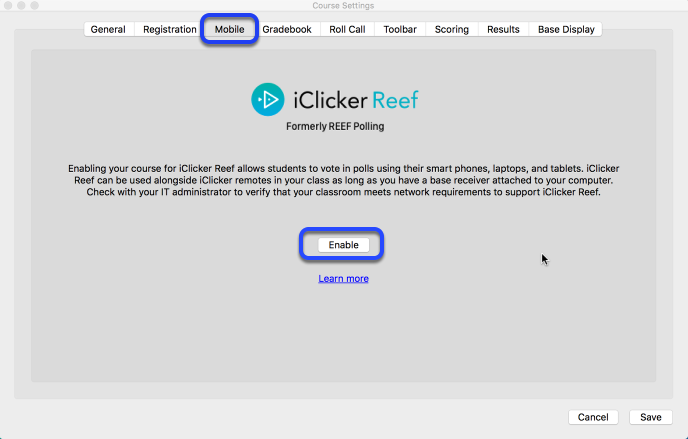 Click on course in the list to highlight, then click "Settings"
Click on the Mobile Polling tab, then click "enable"
Sign into your iClicker account. If you haven't created an account yet, click on "Create Account"
Fill out all the text fields where appropriate. Once you begin typing in the word "Rutgers" the system will provide the three campuses for you to choose from. If you teach at more than one campus, just select the one where you spend the most time teaching. Complete the rest of the required fields, then click "create". Institution: This information will be pre-populated with the content you entered during your account creation. However you are able to change it if necessary. As you type the name of the institution, it will display possible matches. If you do not see your school, click "Can't Find your institution?" 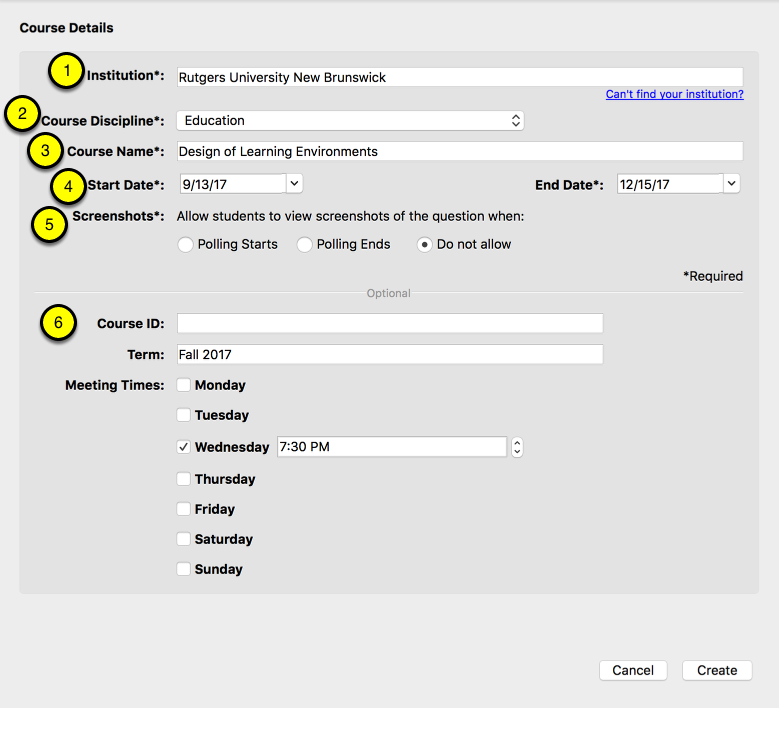 Course Discipline: This information will be pre-populated with the content you entered during your account creation. However you are able to change it if necessary. 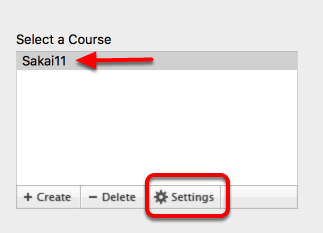 Course Name: You don't have to match the name in Sakai exactly but the more similar it is, the easier it will be for your students to find the course when the time comes to register. Start/End Date: Choose the correct start/end date for your course. Screenshots: Select when you wish your students to see screenshots of the question you are displaying. Optional section: None of the information entered in this section is required, however, the more information you provide, the easier it will be for your students to select your course in the application. Confirm that all information is correct. 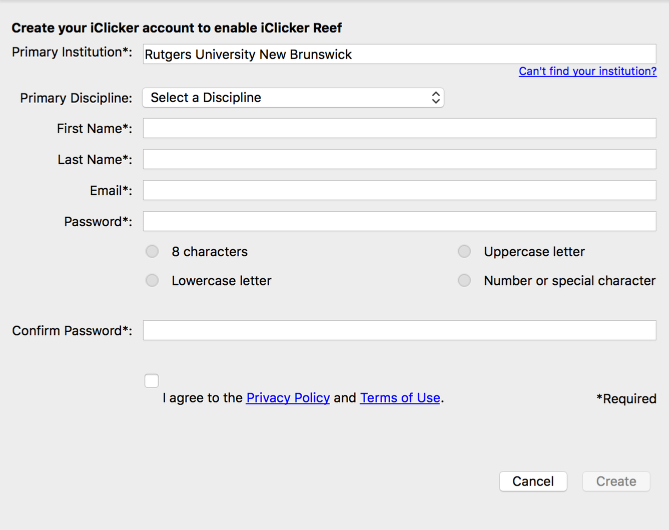 Click "Save"
Students need to install the iClicker Reef application on their mobile device and activate their account. Once their accounts are activated and they have signed into the application, they will search for your course and add it to their list of courses. 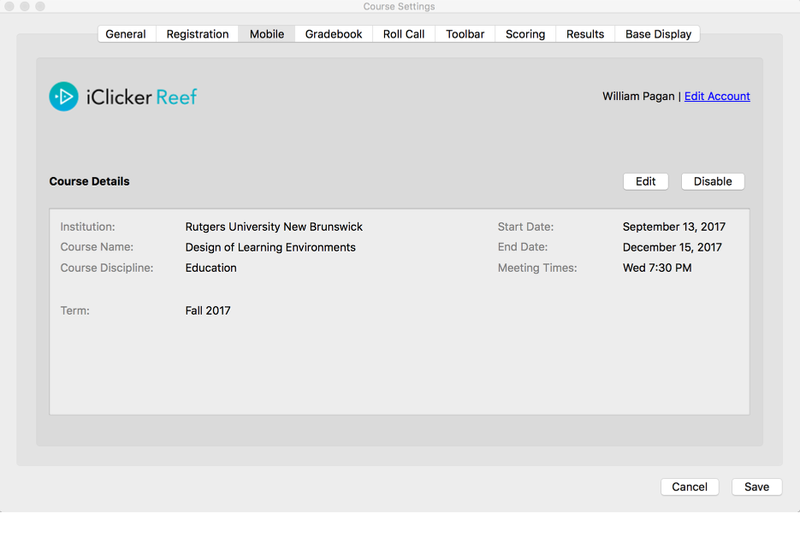 Prev: How do I sync session scores to the Sakai Gradebook? Next: What is iClicker Cloud?